As a hybrid information designer, I work with an inherently interdisciplinary approach. I combined qualitative methods from across the social sciences with design research, visual thinking and information design. My work and research interests are oriented towards the conceptual aspects of information design, the creation of diagrams, design research, and the development of methods and tools to improve understanding to enhance professional practice and education. As a professional specialist and lecturer at Princeton University, I have created and currently teach courses on creativity, design thinking and information design, as well as workshops on ethnographic research, creativity and design thinking. 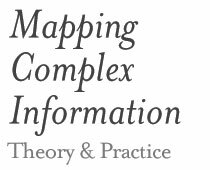 Facilitation and delivery of workshops for organisations and professionals from different backgrounds to help develop the skills to effectively communicate information and manage complex problems. My research work focuses on understanding how to improve education to help current generations develop an interest in learning and gain confidence to design their own path. Previous studies have focused on developing creative and interactive teaching methodologies using information design and visual thinking to support students in their learning journey. I’m also deeply interested in exploring the problem solving process. UKVAC Research Project. Focused on studying information users and sensemaking of visualisations. Sensemaking is the process of manipulating, restructuring, exploring, reorganising and reflecting on information to understand it. Through this process we create and discover patterns which allow us to give meaning to experiences. When visualisations are created in response to their target-users’ needs, they enhance and support the sensemaking process. SerenA Research Project. Focused on understanding information users’ behaviours (searching, filtering, using and interacting with information), and the phenomenon of serendipity. As a partner at Sense Information Design, I work on a varied range of projects from consultancy, project management and research to the development of strategies, and information design solutions. Please visit the company site for more information about the type of design challenges we work on.